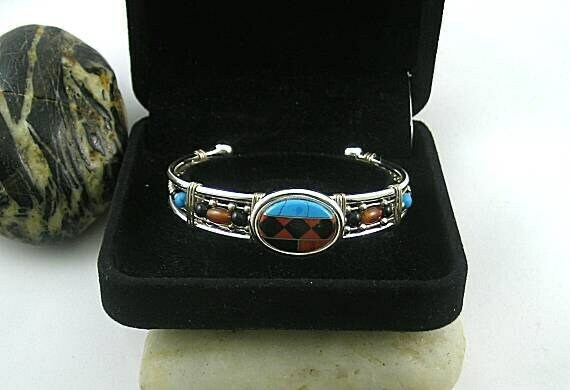 A cuff with an Inlay cabochon centerpiece. 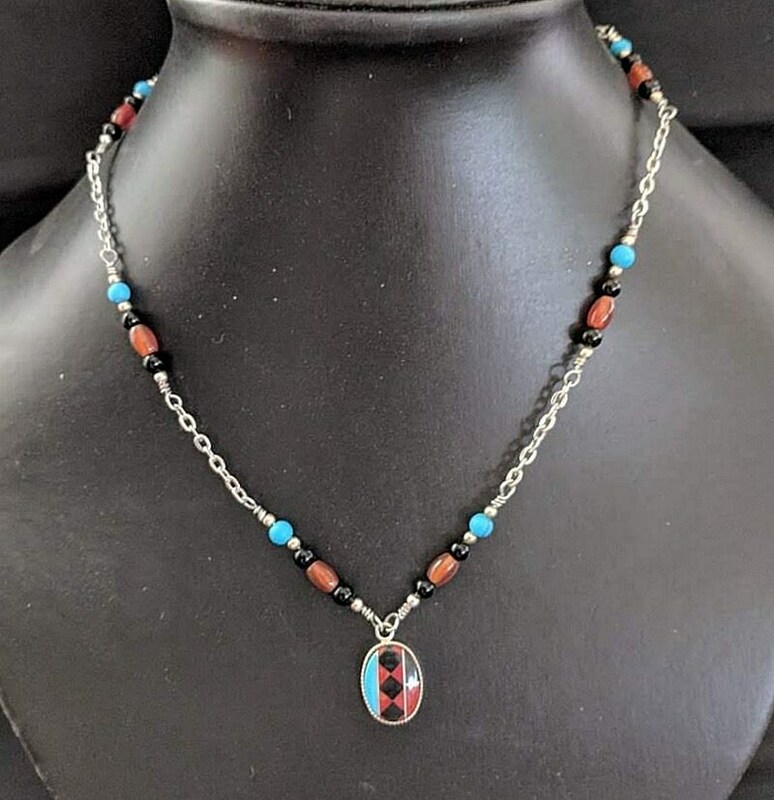 The 19 x 23mm center is inlaid with coral/turquoise/onyx in a traditional Native American design. 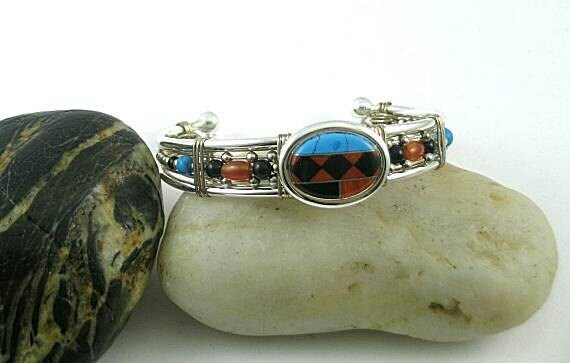 The cuff frame is wire wrapped with carnelian, onyx and turquoise round and barrel beads. Small 2mm silver beads are used as spacers and fillers. 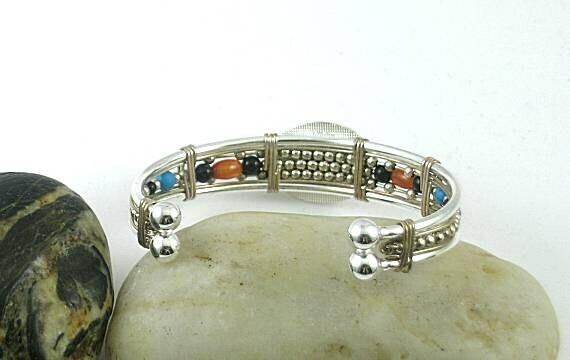 Bracelet cuff only! 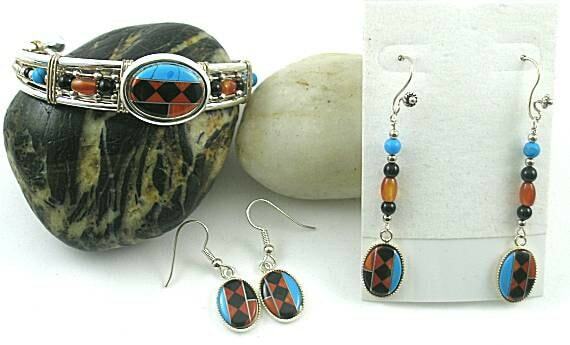 Matching inlaid earrings are available in 2 styles along with a necklace (See last 2 pictures). 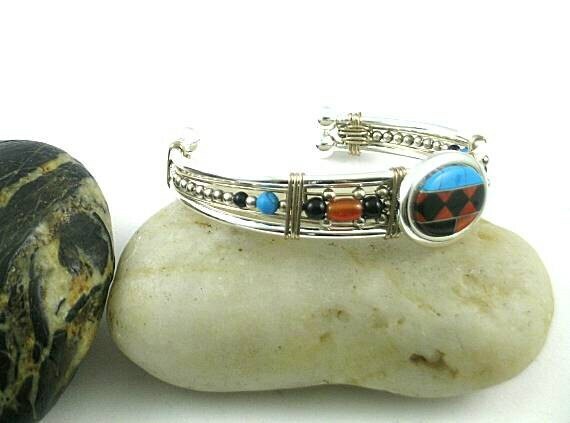 These pieces are listed separately.